As the famed broadcaster Paul Harvey would have said before his death in 2009: In a moment, you’ll know the rest of the story. 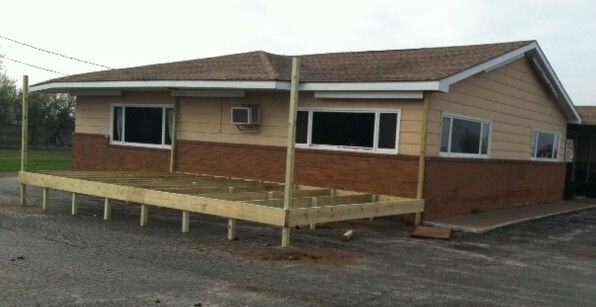 The other day, I posted an item about the soon-to-open outdoor dining area at La Guadalajara, 203 E. Second St. Since then, it has become obvious Muscatine is about to experience what the news folks call a trend. * Elly’s Tea and Coffee House at 208 W. Second St. Outdoor dining has long been popular in other parts of the state and country. And this is a neat trend to reach the Pearl City. In a past life, I spent some fine summer afternoons outside at Dunken’s Draught House. And, in Muscatine, I’ve passed a fair amount of time in the outdoor areas at the Brew and Elly’s. In fact, it’s tough to beat the view from the patio at Elly’s. It will be nice to have even more outdoor seating this summer in Muscatine. I love eating outside, so part of me is very happy to see these restaurants’ new additions. But part of me knows that, more than likely, smoking will be/is allowed in these outdoor areas. The other night I was going to the Thai Bistro via the parking lot behind the Hotel, and had to walk through a cloud of smoke generated by the Pearl’s smoking patrons. I know there will be those who say smokers have to go SOME where…but my answer is: nobody HAS to smoke, but we all have to breathe! This sounds good – hopefully it’s a mild summer so you don’t have to sweat like a hog just to sit outside. I’m a fan of the Button Factory’s screened-in porch, which I think is a step in the right direction.